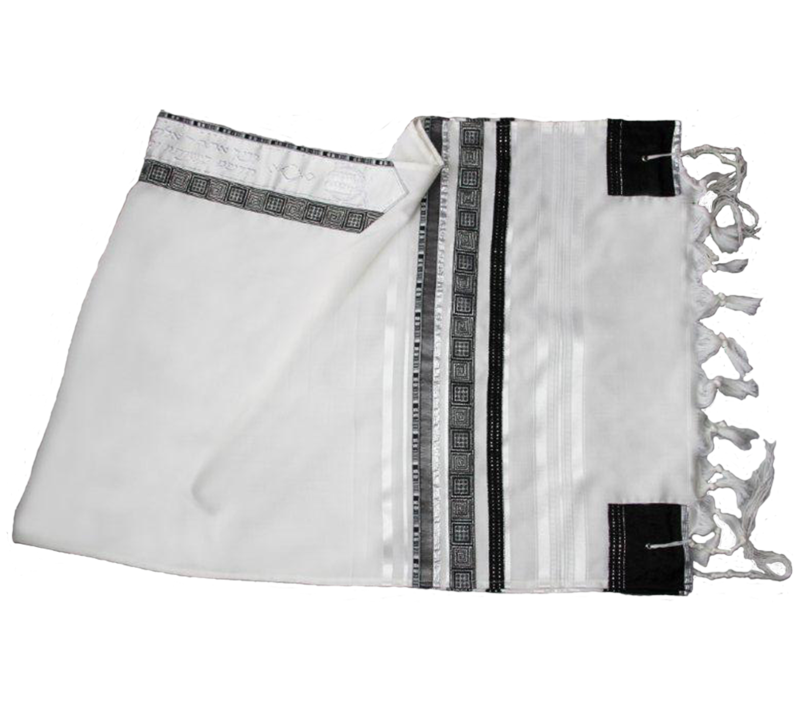 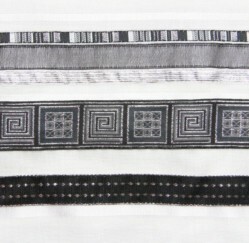 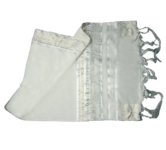 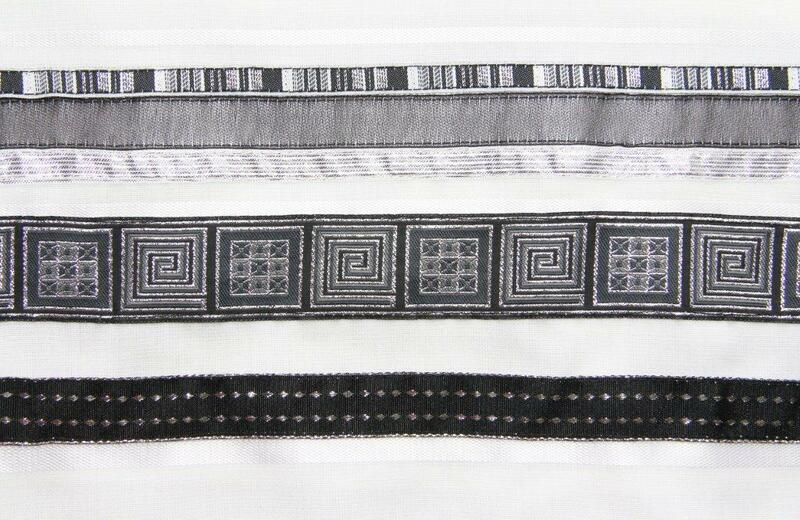 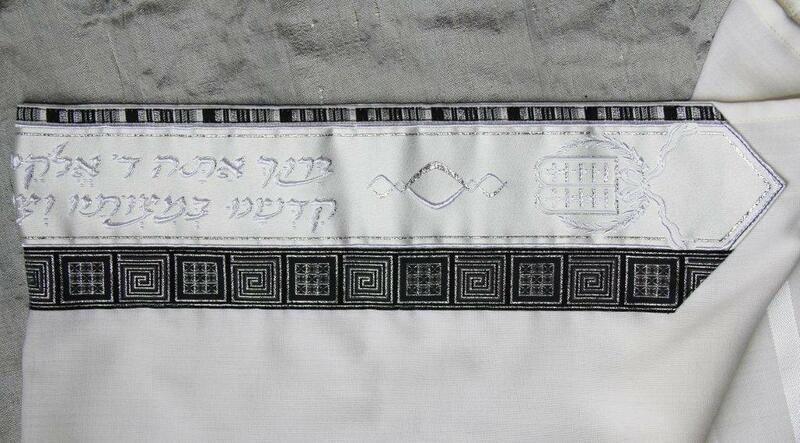 Entirely designed and hand made in Israel, the Shabat tallit shawl is featured by black corners, a white background and an exquisite combination of charcoal grey and silver stripes adorned by geometrical shapes reminding the ancient mural drawings. 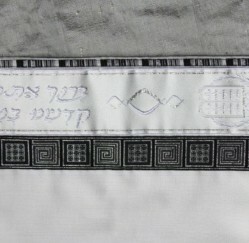 The shiny Hebrew letters stand out on the side-ribbon. 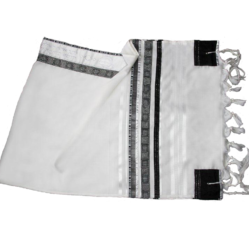 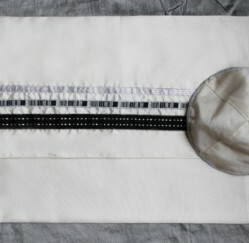 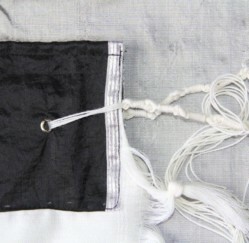 Available in three sizes, this set made up of the shawl, matching kippa and bag represents the perfect choice for daily use. 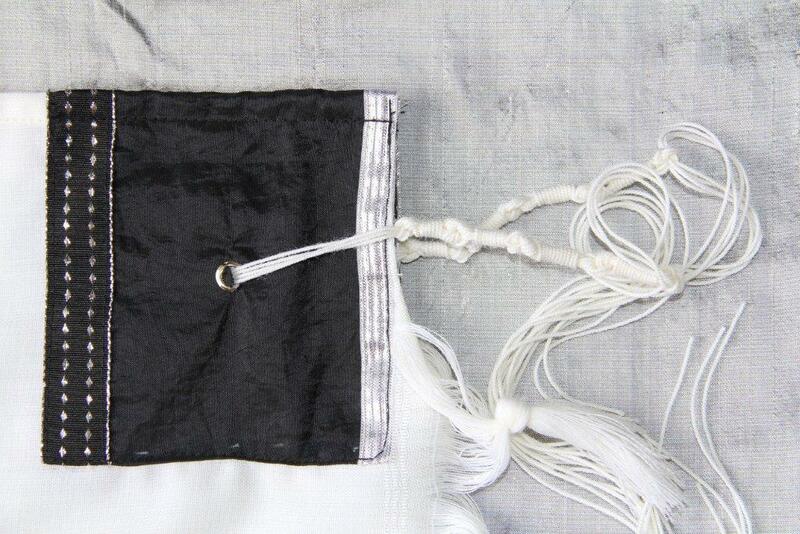 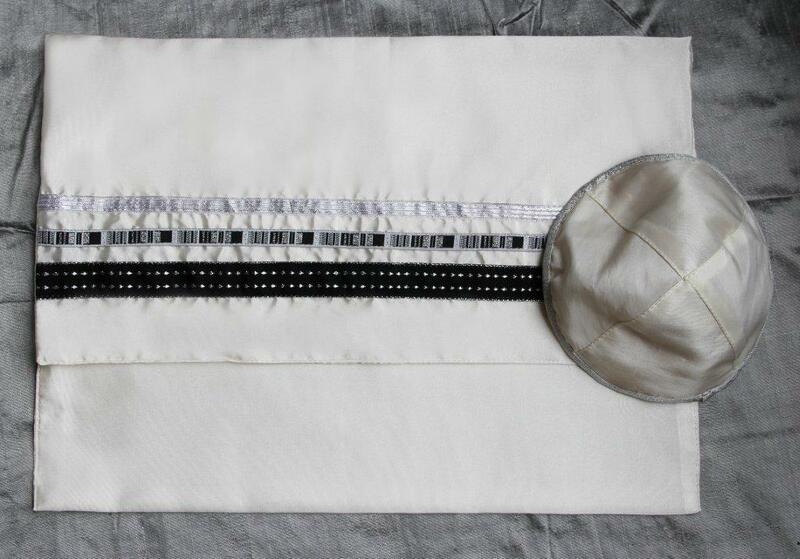 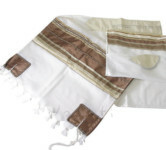 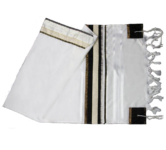 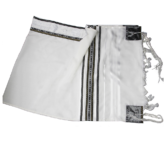 This is an elegant hand made set containing a tallit shawl, a kippa and a tallit bag, all decorated with brown and bronze squares and stripes.